A week before Avengers: Endgame, the follow-up to Infinity War, gears up to open in cinemas, footage from the film leaked online compelling director duo Joe and Anthony Russo to share an open letter urging fans to not to share spoilers. They said, "Remember, Thanos still demands your silence." 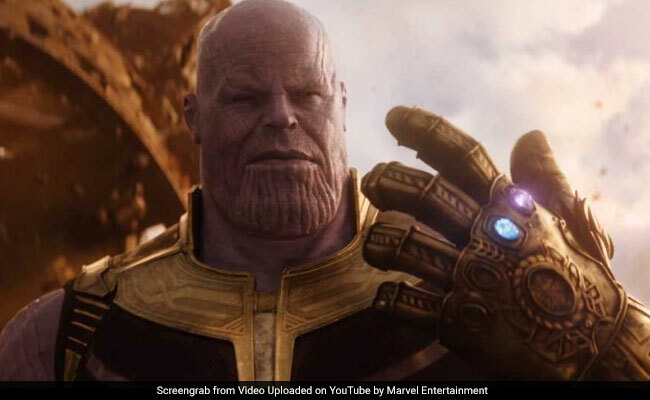 Thanos is the mega-villain of the Marvel Cinematic Universe and he is currently winning the war against the Avengers. He's lethal and he can destroy you with one snap. So, you really don't want to mess with him. Soon after parts of the film leaked on the Internet (now removed), social media users started posting clips and pictures from the final film in the Avengers series. The Russo brothers soon posted: "Please know that the two of us, along with everyone involved in Endgame, have worked tirelessly for the last three years with the sole intention of delivering a surprising and emotionally powerful conclusion to the Infinity Saga." "Because so many of you have invested your time, your hearts, and your souls into these stories, we're once again asking for your help... When you see Endgame in the coming weeks, please don't spoil it for the others, the same way you wouldn't want it spoiled for you," they added and concluded the note with the hashtag #DontSpoilTheEndgame. The fight against spoilers has kept the makers of the Avengers franchise too busy for too long. During his visit to India to promote Endgame, Joe Russo said that most of the film's crew worked on need-to-know basis in addition to filming multiple endings to safeguard the film from online leaks and spoilers. Joe Russo also revealed that several cast members such as Mark Ruffalo (Bruce Banner aka the Hulk) and Tom Holland (Peter Parker aka Spider-Man) filmed their portions without knowing the complete context of the scene. Mark and Tom are infamous for giving out spoilers during interviews. "Tom Holland does not get the script! He gets his lines, and that's all, along with who is acting opposite him. Then we use very vague terms to describe what's happening in the scene," Joe Russo said, reported IANS. Avengers: Endgame, releasing in India on April 26, is expected to make and break several box office records.